Smart shoppers always look for new ways to save. Over the past two decades, cash back credit card programs add to the options consumers have to earn bonuses on purchases they make every day. The great thing about the idea is that rebates come easily, without having to seek certain brands or shop a particular store. The cash back program may categorize sales, but when you shop within that category, you earn a cash back credit. It is, for the most part, automatic and easy. While the return percentage rates aren’t particularly high, with careful planning and keeping no monthly balance, it’s still a percentage you won’t earn elsewhere. Of course, the programs intend to direct more purchasing through the offering company’s cards and, if customers carry a balance, credit card companies don’t mind collecting interest on those balances. You may need to spend minimum monthly amounts to qualify for cash back status, so some of these programs aren’t suited for those with frugal budgets and careful spending habits. Some of the high profile programs using elite cards charge a fee for the cash back feature. That fee affects the true value of a cash back program, since the fee reduces the amount of payback. Still, these programs prove popular with Canadian consumers , who have the pick of numerous cash back plans. 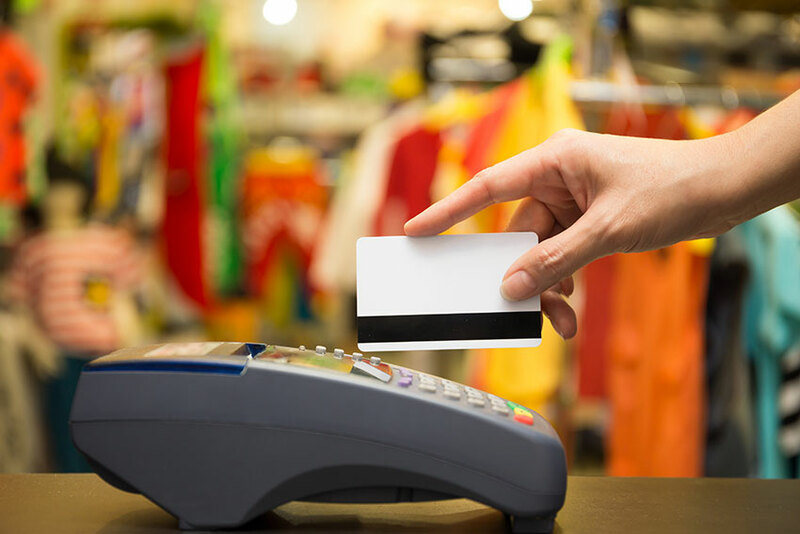 What is a Cash Back Rewards Credit Card? A cash back rewards credit card takes purchases you make on the card and returns a percentage of those purchases to you as an incentive. Depending on the program, all purchases may qualify or these may be channeled into categories. For example, a cash back credit card could accumulate rewards for groceries, while another builds credit for gas purchases. There are rewards cards that have multiple eligible categories, with different cash back percentages for each category. Cash back cards differ from points or miles-type reward cards. With those, a consumer builds credit toward specific awards. A points card may have collection of redeemables, such as home electronics, entertainment passes and gift cards. Miles cards usually build toward travel rewards, such as airline tickets. Lines between card types have a tendency to overlap. For example, Air Miles credit cards, once predominately about travel, now feature rewards more typical of a points card system, while retaining its travel features. There are store-level points cards that can function as cash back reward vehicles without credit card functions. The Shoppers Drug Mart Optimum card, for example, builds credits on purchases in Shoppers Drug Mart stores, but it isn’t also a credit card. Perhaps the most Canadian cash back program has always been the Canadian Tire Stores’ Canadian Tire Money. For cash and debit purchases, shoppers receive a cash back reward in the company’s own currency. At the start, cash back credit cards had programs with straight-forward simple percentage returns, usually around one percent of purchases. These returned to the consumer in the form of rebate cheques or credits on their statements. It wasn’t long before the programs grew in complexity. Cash back programs changed to encourage spending habits that paid out more as the customer spent more. Further enhancements and changes allowed credit card companies to expand programs with marketing partners. It’s common now for credit card partnerships to replace or augment a store chain’s own rewards program or in-house credit card. Cash back rewards encourage holders of these cards to shop at a particular store, using a particular credit card, to build rewards. These programs operate as an effective loyalty offering. As programs become more complex, measuring cash back cards against each other is difficult. This is particularly true of cards with multiple discounts and categories. The industry trend recently seems to favour flat-rate, across the board discounts. This may be due to consumer pressure in the form of preference for these cards. Due to the number of cross-promotion cards, it’s difficult to produce reliable statistics across the cash rewards segment of the credit card industry. Another contemporary trend is electronic redemption. At one time, cash back rewards took the form of a cheque almost exclusively. In an era of simple financial technology, consumers found greater value from a cheque in the mail. Today, with increased levels of confidence in electronic banking, cash back rewards programs move away from more expensive fulfillment methods and add “cash” by way of statement credits. The automatic way that cash back credits cards work is perhaps the key to the popularity of these programs. It’s a simple alternative to other savings programs. For example, the consumer who formerly clipped coupons or who traveled between stores with sales now saves the extra time. Using a general cash back card, these percentages accrue automatically. The consumer has the knowledge that purchases come with discounts without additional effort. Shopping decisions become streamlined. The consumer decides on the program when applying for the card. After that, the extent of choices depends on the particular cash back plan. Store proprietary programs may limit the shopper to locations for which they have cards. General plans provide discounts on nearly every purchase, in almost any shopping location. When a shopper has multiple cards, there are a variety of strategic options. These, of course, depend on the particular cash back rewards credit cards that shopper has. Multiple cards open up options such as following sales to increase the value. The consumer spends less on a product because of the sale and earns the cash back percentage. Not all shoppers want to leave sales and coupons behind once they join a cash back rewards program. Is Cash Back Credit Card Program Worth It? The value of a cash back rewards program rests in the perception of the consumer. Rewards cards often come with fees and higher percentage rates on balances. Shoppers who frequently carry balances from month to month find that the interest charges outrun the savings from the cash rewards. While an occasional balance may not destroy the advantages, those who carry balances regularly are better served with low interest cards. High rewards thresholds could also limit the value of a cash back credit card plan. With these plans, a consumer needs to spend certain amounts each month or annually to qualify for the full value of the cash back percentage. For those with high purchase loads and equally high cash flow to cover monthly balances, these cash back plans offer significant savings. A shopper who overspends to reach reward thresholds will soon find the cash back plan too expensive. Working a cash back rewards card category, however, could be an effective way to benefit from a cash back plan. Take a family with multiple vehicles and a heavy driving load, for example. Since fuel costs would be a significant cash expense monthly, joining a cash back reward program and issuing credit cards to each driver maximizes fuel cash back savings. Using the grocery category of a cash back card works the same way. Say, for instance, a shopper uses a particular grocery store chain, perhaps from preference or convenient location. Using a cash back card program specifically for that store may provide higher than average percentage rates. With their grocery shopping happening in this store, the savings automatically build. This may be on top of any store sales or coupon discounts. This is a good option for a consumer who already uses credit cards for the majority of their buying. Look for a cash back credit card program that pays the highest rate across all purchase categories, preferably with low or no annual fees. For shoppers who use participating stores on a regular basis, or who target savings in particular shopping categories, targeted cash back savings plans may offer a higher discount on a more narrow channel of purchases. 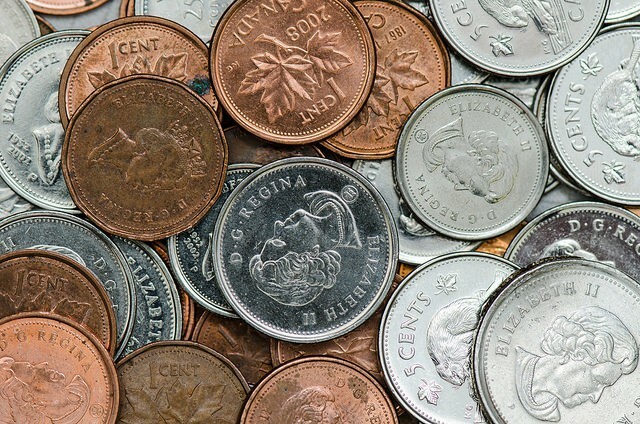 Gas, groceries and drug stores have strong cash back program support in Canada. For those who find coupon clipping and comparing sales tiresome, cash back credit cards offer various levels of savings with no active requirement for the shopper. The calculation of the rewards come automatically, at the cash register or on the monthly statement. There’s no need to monitor other savings avenues to gain a reward. Consumers who do enjoy the challenge of coupon clipping and sale chasing can add to their savings with a general cash back reward card that pays a set percentage for all purchases made with the card. In many cases, cash back cards provide the shopper with a rebate on top of already discounted purchases. Since specialized cash back programs frequently feature bigger savings on narrow purchase categories, using two may maximize cash rewards. The secret to that strategy is pre-planning purchases to match cash back categories. It can add up to greater returns at the year’s end. The drawback of any credit card is the interest rate attached to balances carried over. Depending on the cash back reward credit card, a consumer earns between 1 and 6 percent cash back on some or all of their purchases. If interest on the card was also 1 to 6 percent, then the cash back rewards would pay the finance charges. However, carryover interest is much higher than the rate of cash back savings. While cash back earnings could be applied to a credit card balance, it wouldn’t make a significant dent. A shopper needs to continue to make purchases to earn rewards, so the additional purchases pile on top of previous balances. Cash back rewards cards are best suited for consumers who pay off balances monthly. Qualifying for some cash back rewards requires certain levels of spending, as we saw earlier in this article. When a consumer already meets those levels of spending, switching over to a cash back credit card may be a useful strategy. However, when a shopper has the temptation to make additional purchases over their usual load, a potentially dangerous overspending condition arises. Spending can’t outweigh income. This leads to credit card balances and that kills the cash back program benefits. There are shoppers who enjoy the perceived cachet of premium cards, though these often carry annual fees. The same holds true for cash back rewards cards. The more exclusive cards do have the potential for bigger savings. However, there may be minimum spending thresholds. The cost of the card must be factored against the annual benefits as well. Should a consumer move from a no fee card, this affects the cash back earnings in real dollar terms. A shopper moving from one premium card to another may not mind, particularly if the fees between cards are comparable. Are cash back credit card rewards taxable in Canada? The good news is that consumers do not need to declare cash back rewards from a credit card program as income. Personal credit cards have no limits or restrictions in terms of rewards and taxation. In fact, the money that comes back to a consumer through such a program really amounts to a rebate or discount on money that they spent. In essence, the shopper gets their own money back. However, there are some restrictions to cash back rewards and work-related expenditures. When a person is reimbursed for business expenses they paid for with personal cards, there is no need to report rewards, whether these come as cash, miles or points. A problem arises when, for example, the person converts points to cash. In that case, the points now have a cash value and could be a taxable benefit. This doesn’t affect cards with cash back as the rewards focus, however. Business expenses paid for on a personal card must be incidental. An employer cannot, for example, allow a staff member to make all office supply purchases on a personal card to earn the cash, points or miles benefit. The value of the reward would be, in this case, a taxable benefit. If it is not recognized as a form of income, the Canada Revenue Agency may treat it as a tax avoidance scheme.